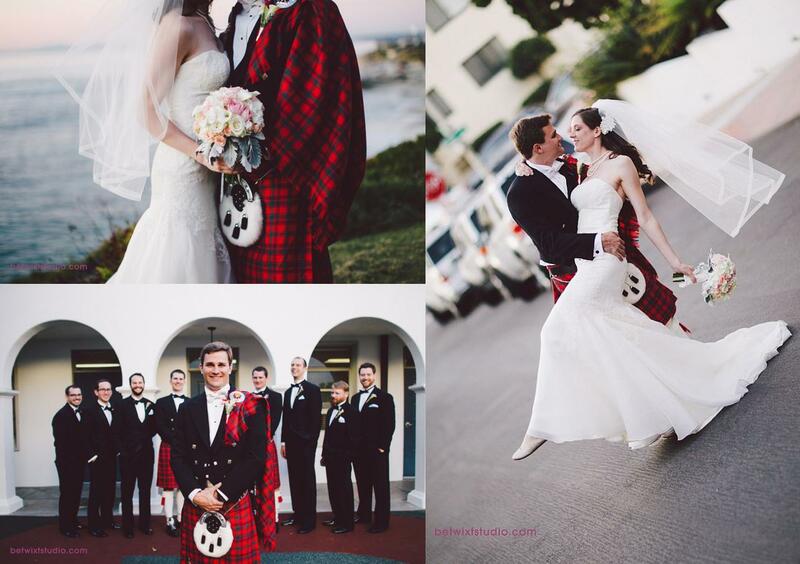 For Laura and Will, they had me at bagpipes! 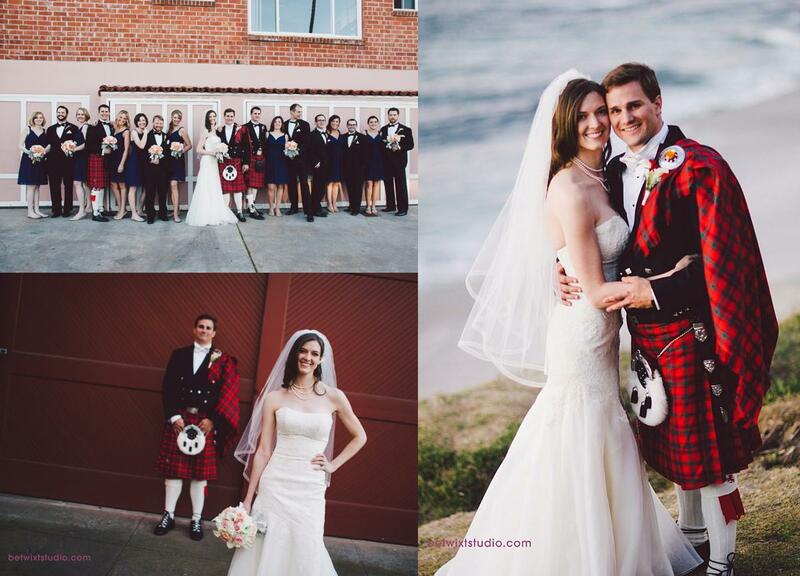 Will’s family is Scottish and that meant full kilts and yes, a bagpipe. Laura and Will had their ceremony at La Jolla Presbyterian Church, where Will’s grandparents have been long time attendees. I will never forget the moment we sent the gentlemen down the aisle. 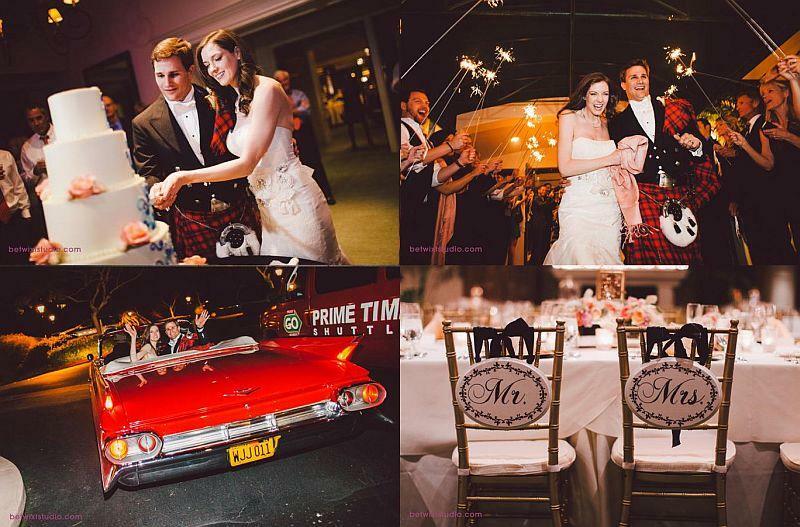 We swung open the doors and had our bagpiper positioned perfectly at the head of the aisle. Then slowly he led Will, shoulder to shoulder with his father, the officiating pastor (in kilt), with his two brothers (in kilts) and the rest of the groomsmen following in single file behind. One of my favorite wedding moments yet! The sound of the bagpipe echoing off the walls of the sanctuary was amazing! Laura looked gorgeous and her entrance, to a booming organ, was pretty grand itself! 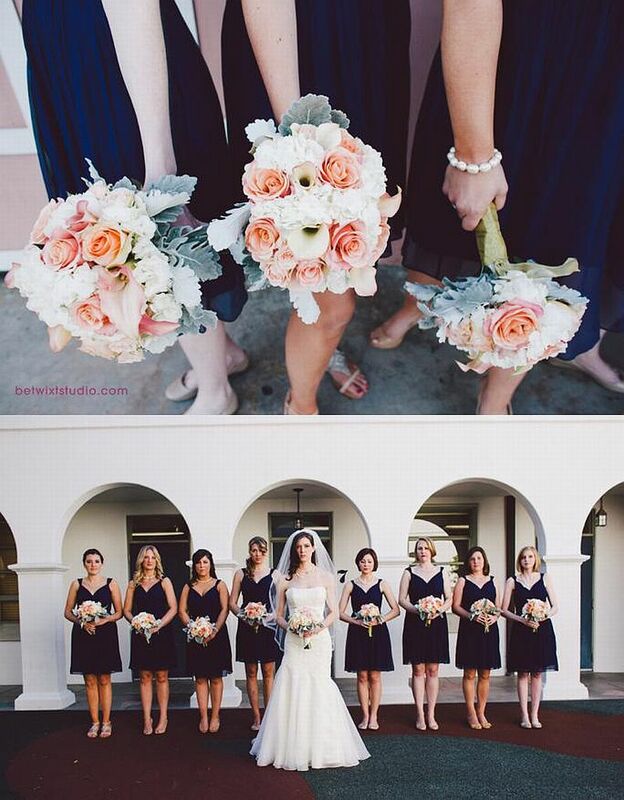 Laura’s bridesmaids wore navy dresses and we offset the navy with ivory and peach bouquets, created by Indulge Flowers. They were all gorgeous! I LOVE the photo of Will and his groomsmen below! And this one of Will and Laura in the street together! Thank you to Maurice of Betwixt Photography! After the ceremony, guests headed up to the La Jolla Country Club for the reception, just minutes away. The room was stunning and the atmosphere of the Country Club was, as always, wonderful. I always love being at the La Jolla County Club simply for the experience it provides. It is what I call a “yes” venue. For our decor, we used the Country Club’s own ivory linens and rented gold chivari chairs and gold chargers. 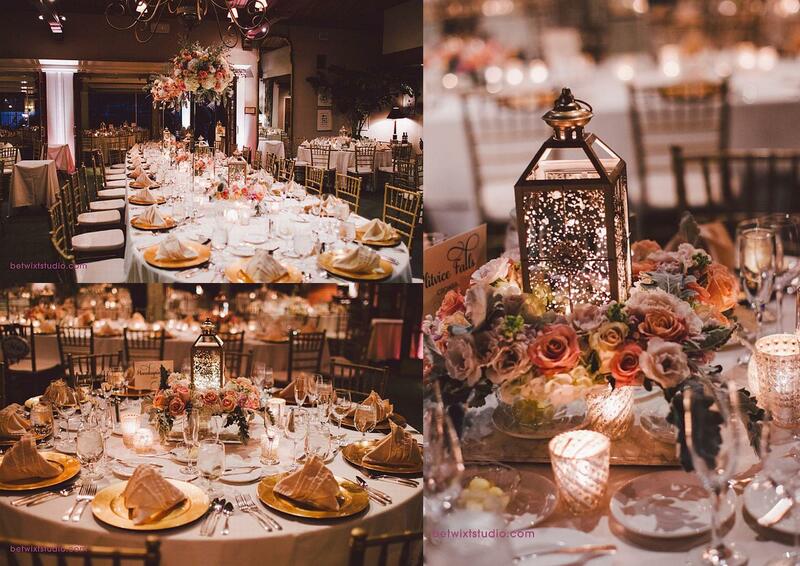 Indulge added gold lantern centerpieces to the guest tables and these large mirrored arrangements to the head table. Though the Scots won the ceremony, my favorite part of the reception, lay in the court of the bride’s family. Of Scandinavian descent, they decided thy wouldn’t be outdone so for the father-of-the-bride’s welcome speech, Laura’s parents rushed into the ballroom in full Viking attire and the Club brought out sips of scotch for the toast. 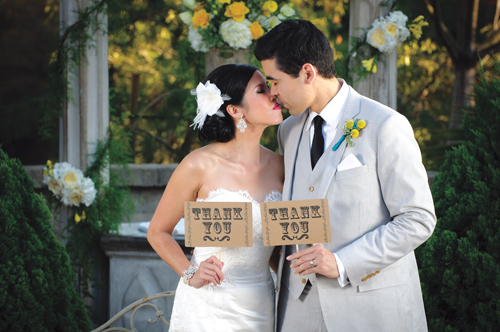 The toast and attire were a surprise to all the guests–including the bride and groom! We ended the night with a sparkler send-off (and fire alarm that brought the firemen!) and a getaway in a fabulous red convertible! All in all, this wedding was a wonderful event!